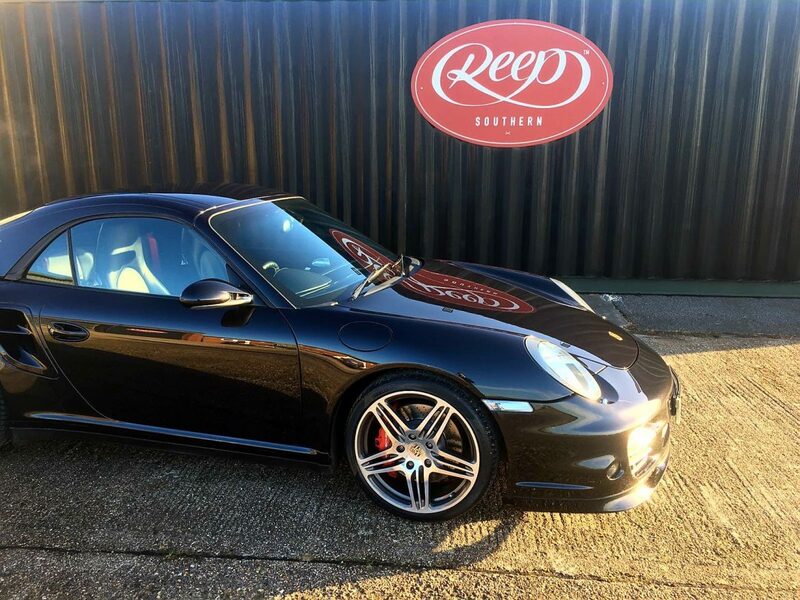 One of the first cars to land at our studio in Dunsfold was this Porsche 911 Turbo. 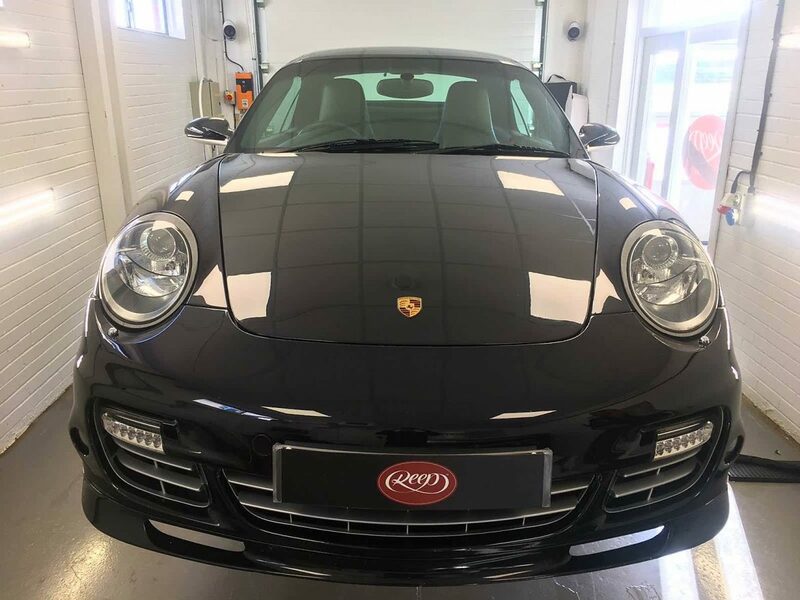 Finished in metallic black, this car came to us for some much needed attention! Stage 1 – Very few marks on the paint surface. Generally, the car is usually up to 1 year old. 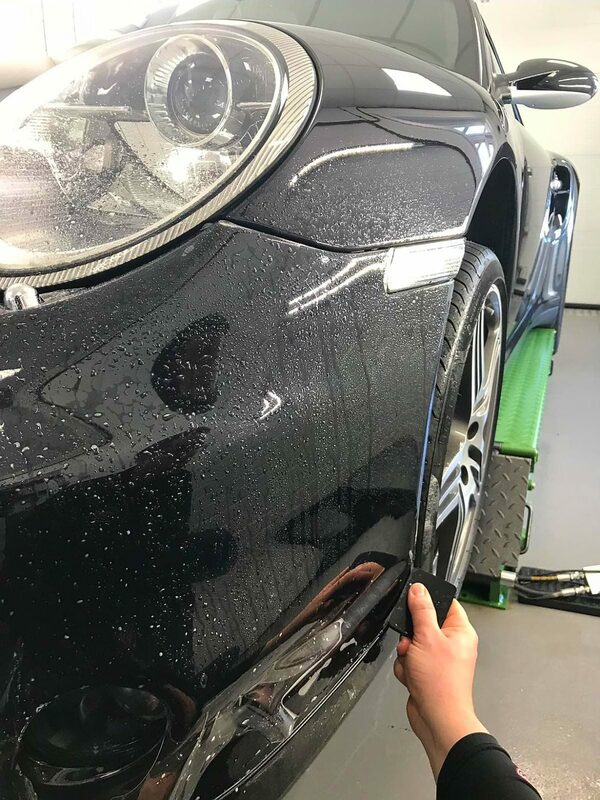 Stage 2 – a few swirl marks and very minor scratches are visible on the paint surface. Generally speaking, the car will usually be up to 3 years old. 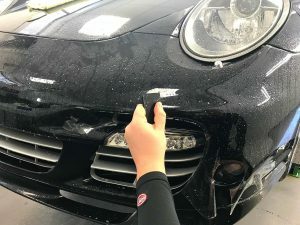 Stage 3 – There are quite a few swirl marks present on the paint surface. Generally, the vehicle could be over 3 years old. This all depends on how it has been looked after! Once the surface was as perfect as we could get it, it was then onto the Paint Protection Film Application! 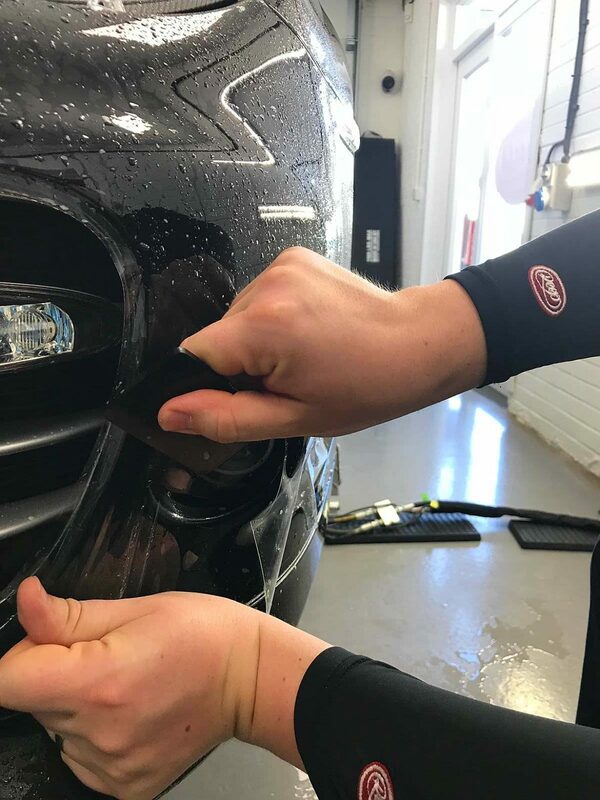 Using Premium Shield‘s film, we are able to cut and apply custom patterns on our site on the edge of the Top Gear test track! 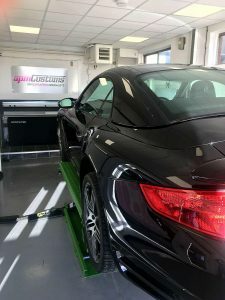 Once the PPF had settled suitably and dried enough in our climate controlled studio, it was now time for the application of Gtechniq’s protection system. 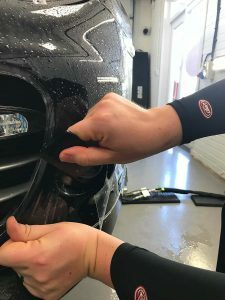 This can be applied onto the paintwork, as well as the film. Gtechniq’s Crystal Serum comes in 2 forms – Light and Ultra. Light comes with a 5 year guarantee, and Ultra comes with an unbelievable 9 year guarantee! 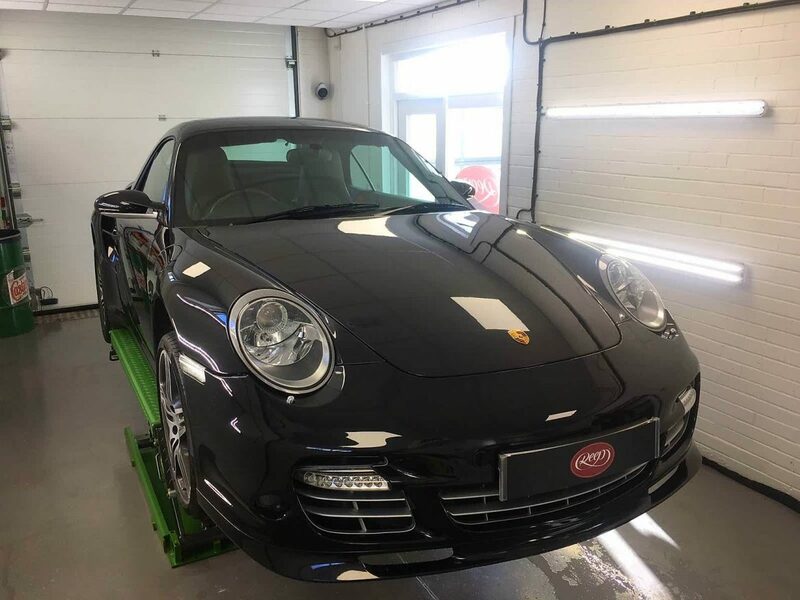 This particular owner opted for Crystal Serum Light, to help bring out the gloss on the paint surface and protect the car further! 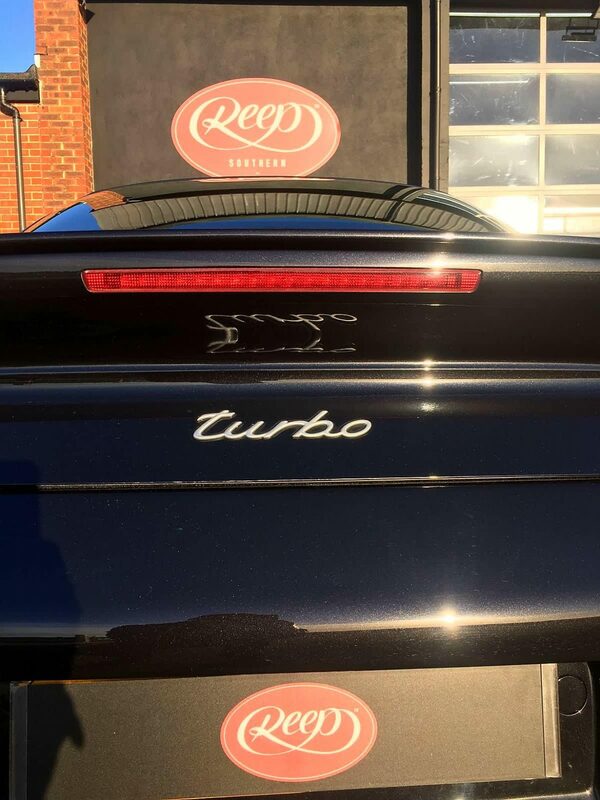 Luckily, on the day we finished the car, it was a gloriously sunny day, so we took the opportunity to show off our work!